Penalties for late returns can go as high as 100 percent of the balance due. Paying your taxes isn't fun, but not paying them is even worse. 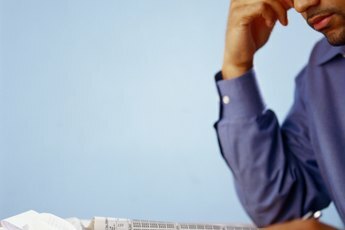 If you know you're going to owe Uncle Sam at the end of the year, it may seem tempting to procrastinate come tax time. This is especially true if you'll owe money you know you can't pay. Unfortunately, the IRS and states with income taxes will charge you late fees as well as interest if you don't pay your taxes on time. You'll incur additional fees if you fail to file your return on time. If you do have to pay your taxes late, you can use an online interest calculator to determine how much you owe. 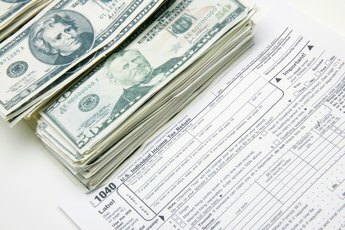 You can also calculate your interest and penalties yourself based on current IRS rules, but doing so can get complicated. It's best to contact the IRS and ask them what you owe rather than guessing, as an underpayment can result in even more penalties and fees. An online late payment penalty calculator allows you to calculate your tax penalties and fees. The first step to calculating what you'll owe is understanding what all you have to pay. You may have to pay fees and penalties in addition to interest. 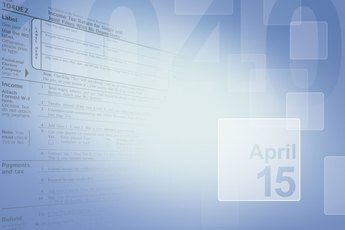 If you failed to file your tax return at all or filed it after the April 15 due date, the IRS will assess a failure to file penalty. The IRS won't charge this penalty if your tax filing would have resulted in a tax refund. You may, however, forfeit that refund if you fail to file a return. The IRS also charges a fee for failure to pay. If you owed taxes but were unable to pay them, the IRS will charge you interest. This interest gets assessed every month or part of a month that your taxes remain unpaid. If you owe more than $1,000 in taxes and failed to make estimated tax payments during the tax year, the IRS may charge you an underpayment penalty as well. This charge applies even if you filed and paid your taxes before the April 15 due date. The IRS also charges a fee if you attempt to pay your tax but your check bounces. The news isn't all bad. If you need more time to file your taxes, you may request an extension from the IRS. 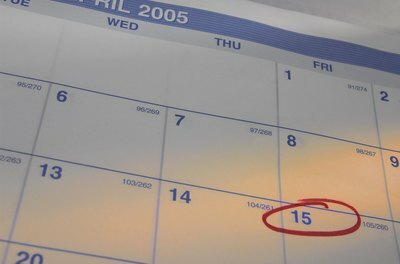 You will still have to estimate how much tax you will owe and pay it by the April 15 due date, but an extension will grant you extra time to get your paperwork in order without incurring a failure to file penalty. To request an extension, file Form 4868. If filing your taxes isn't a problem but actually paying the tax is, contact the IRS right away. You're certainly not the first person to owe more tax than you can afford to pay. The IRS will usually work with you to devise a payment plan that will help you tackle your tax debt. You may still have to pay interest and fees, but the IRS will reduce both if you stick with your payment schedule. In 2018, the minimum penalty for filing your tax return late is $210 or is equal to the amount of tax you owe, whichever is less. If, for example, you file your taxes late and owe $100, your late payment penalty will be at least $100. If you file late and owe $500, your late payment penalty will be at least $210. Note that these are minimum penalties and you could pay more. The IRS can charge up to 5 percent a month if you owe tax but don't file a return. They will continue to do so each month until your fee reaches 25 percent of your tax liability. If you file your return but don't pay the tax, expect to pay an interest charge of 0.5 percent a month for every month or part of a month that you're late. If you get on an installment plan, this interest rate is reduced to 0.25 percent a month. Interest will continue to accrue on your account until reaching a maximum of 25 percent of the amount you owe. If you bounce a check to the IRS, expect to pay a 2 percent fee if the check was for $1,250 or more. For smaller amounts, the fee is $25 or the amount of your payment, whichever is less. If you filed or paid your 2017 tax return late, the penalties and interest are generally the same as in 2018. The exception is the failure to file penalty. The minimum failure to file penalty for the 2017 tax year was $205. This particular fee has been periodically adjusted over the years for inflation. The IRS doesn't expect you to calculate the penalty and interest yourself with your late return. Instead, they will mail you a letter detailing the penalties once your return is processed and any payments are deposited. Pay the bill promptly, or call the number on the letter to set up a payment plan. If you are due a refund, there is no penalty for filing late. However, you must file the return within three years from the original due date to claim the refund. Depending on your income level, you must file a return whether or not you have any tax liability, so play it safe and file whether you owe or not. You only owe a penalty on the amount of tax unpaid at the time your return is filed, not the total tax liability for the year. So you aren't penalized on the amount covered by withholding or estimated tax payments. If you delay filing because you can't pay a balance due, you're actually accruing higher penalties than if you filed on time. The penalty for failure to pay a balance due is only 0.5 percent per month, plus interest. You're better off filing and arranging a payment plan for the unpaid taxes. The IRS makes setting up a plan simple. You can even do this online. If you filed an extension but didn't pay a balance due by April 15, you're already racking up late payment penalties of 0.5 percent per month, even though your return isn't officially due until October 15. 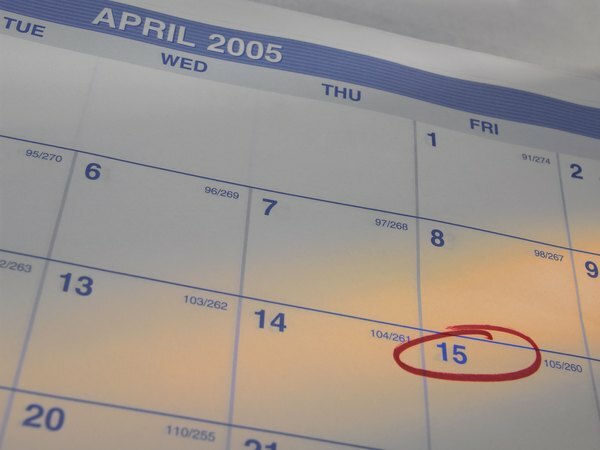 The IRS expects payment by April 15 on any balance due. You can avoid some of the penalty by estimating your total balance due and sending in a good chunk of that amount when you file the extension. 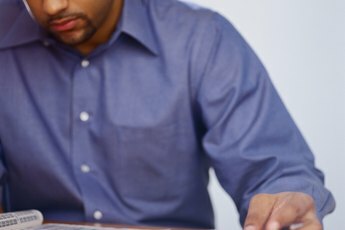 TurboTax: What's the IRS Penalty if I Miss the April Filing Deadline?